Norway, July 22nd, 2011: Israeli backed terrorist Anders Behring Brevik, disguised as a police officer, opened fire on Palestinian solidarity activists at Utoya island. Brevik and his accomplices murdered 69 people and wounded 110, the majority of whom were teenagers and youth in their early twenties. Miles away in Oslo, a car bomb ripped through a crowded high street near the offices of Norwegian Prime Minister Jens Stoltenberg, leaving 8 people dead and injuring over 200. Gaza comes to Europe: Jewish terror in the heart of Oslo. The massacre was widely celebrated by Zionist Jews, since the victims were pro-Palestinian and supported a boycott of the illegitimate state of Israel. In 2006, war crimes suspect / U.S. secretary of state Codelezza Rice, threatened Norway with “serious consequences” if her citizens boycotted Israel. Refusing to bow to U.S.-Israeli intimidation, the Norwegians divested from Israeli construction companies ‘Africa-Israel Investments’ and ‘Danya Cebus Ltd’ (both run by ‘Blood Diamond’ trader Lev Leviev and involved in building Jewish settlements across occupied Palestine). Stoltenberg also withdrew support for the Israeli approved Anglo-American-NATO invasion of Libya in May 2011; two months later, Norway’s streets and shores were awash with innocent blood. Brevik was found guilty and sentenced to life in prison. But that’s not the end of it, and anyone who still believes the tabloid spiel that he acted alone, should re-evaluate eyewitness reports from the scene of the crime. Anders Brevik is like a damp brick, kick him over and you’ll see the pestilence scurrying underneath, for Brevik has intimate links with Jewish fanatics like Pamela Geller, Robert Spencer, Isak Nygren, Daniel Pipes and David Horrowitz among others. “So let us fight together with Israel, with our Zionist brothers against all anti-Zionists and multiculturalists”. Spencer was Brevik’s spiritual mentor with Geller acting more as a Mira Hindley-esque conduit who nurtured his evil fantasies. The pair are said to have exchanged e-mails and Geller even posted one of his screeds on her anti-Muslim website ‘Atlas Shrugged’. Brevik was also a practicing Freemason / Kabbalist, initiated into the Saint Johannes Lodge, an avid supporter of JDL backed propagandist Geert Wilders and Avigdor Liberman’s Yisrael Beitenu party. Israeli propagandist Pamela Geller was in contact with Anders Brevik before the attacks. Brevik claimed that other pro-Israeli sleeper cells are primed to commit similar attacks in the near future. But despite his confession and obvious links with organized Jewry, very few people have followed up these leads. And as EDL / Zionist violence infects the body politic in Western Europe; it may only be a matter of time before Israel leads another Brevik-esque zombie by the nose and throws him our way. Israeli backed terrorist Anders Bhering Brevik. 1. Mr and Mrs Aubrey and Joyce Chernick, U.S. based couple with financial ties to the ADL and the Zionist Organization of America. They currently fund anti-Islamic propagandists Pamela Geller (‘Atlas Shrugged’) and Robert Spencer (‘Jihad Watch’). 2.  ‘English Defence League’ financer Alan Ayling a.k.a. Alan Lake: Brevik had met with EDL thugs and was planning to open a Norwegian wing of the group. Three months before the attack, Norway’s TV 2 ‘Nyhetene’ ran an exposé on Alan Lake. Mr. Lake, a banker and property tycoon, was said to have been in contact with suspected Israeli sayan / Swedish Jew Kent Ekeroth about funding an EDL style terror cell in Oslo. During his trial, Brevik admitted that he had an “English mentor” i.e. Alan Lake. “…I have spoken with tens of EDL members and leaders: I supplied them with ideological material in the very beginning”. Other EDL-Brevik linked suspects include Paul Weston, Chris Knowles, Darryl Hobson, Paul Ray a.k.a. Paul Cinato and EDL ringleader Stephen Yaxley Lennon a.k.a. Andrew McMaster a.k.a. Paul Harris a.k.a.Tommy Robinson. 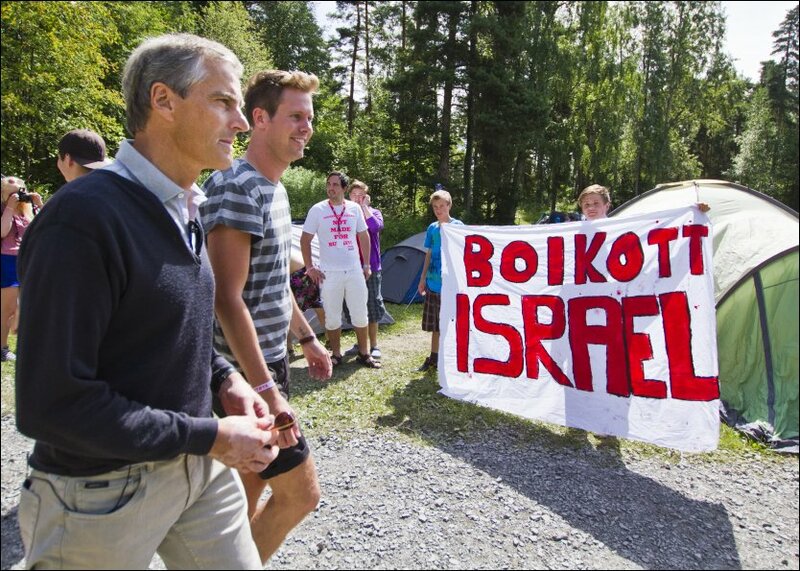 The Israeli controlled EDL almost got a foothold in Norway via Brevik. Tommy Robinson maintains ties with JDL-JTF-JEDL stooge Roberta Moore, Talmudist Rabbi Nachum Shifren and most of the Zionist groups who supported Anders Brevik. EDL financier Alan Lake with JEDL-JTF-JDL stooge Roberta Moore. Robinson’s relationship with Pamela Geller mirrors that shared by Brevik: Geller calls Robinson her ‘colleague’ at the Zionist funded ‘Stop Islamization of Nations’ (SION) cult and laments the fact that he’s been “rotting in prison” after trying to enter the U.S. using a stolen passport. Is Robinson Geller’s new Brevik? Perhaps. 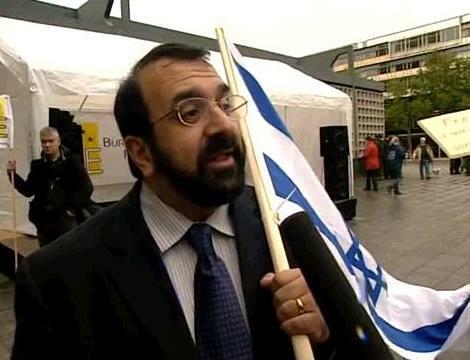 Anders Brevik’s idol and Israeli propagandist Robert Spencer. 3. Israeli Mossad controlled militia ‘The Vikings’: an ‘Integrated Battle Group’ operating in rural Norway pretending to be neo-Nazis. Zionist Jews are running an international network of terror-training as part of their Kibbush (Jewish Holy War) e.g. IDF reservist Yonatan Stern’s Jews-only terror training camp: ‘Kitat Konenut’, is based in NYC, Normon Solomon’s ‘Calibre 3’ in the West Bank offers terror training to Jews from around the world. Approximately 90 minutes before the attacks, Anders Brevik contacted Zionist Swede politician Isak Nygren, who was staying in a Kibbutz at an undisclosed location in the illegitimate state of Israel. Nygren has met with EDL members (confirmed sightings with Tommy Robinson and Kevin Carroll) and spouts the kind of extremist Jew rhetoric that would endear him to someone like Brevik. Nygren, like most of Brevik’s Zionist allies, has attempted to play down his relationship with the Israeli backed mass murderer and has, so far, managed to avoid being brought in for questioning as a possible accomplice to murder or accessory before the fact. Thus the Israeli terror network linked to the Norway attacks so far is: Brevik-Geller-Spencer-Lake-EDL-JDL-JTF-JEDL-Ekeroth-Nygren and the Mossad. Anders Brevik now languishes in some prison in Oslo and insists the ‘authorities’ (i.e. Brevik’s Zionist friends in power) are tying to force him to commit suicide. I’m inclined to believe that, after all, he’s more of a liability than an asset for Israel now, and that’s how they tend to treat their henchmen. The Norway attacks were an act of war by pro-Israel Jewry and to call it an isolated incident would be a mistake. Now I know that many Jews are decent, law abiding citizens with no links to Israeli terror. But I also know that Jewish extremism is a cancer in the bloodstream of the civilized world. That its international criminal network must be summarily deactivated in accordance with the rule of law with prominent Zionists put on trial at a new Nuremberg. 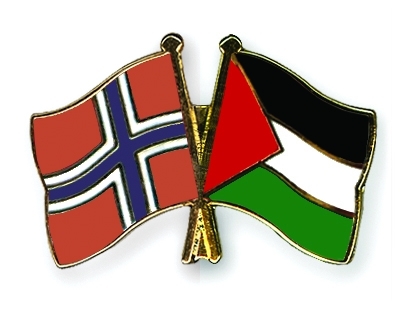 Norwegian-Palestinian solidarity and the ongoing fight for justice. Its not anti-Semitic to demand justice, its not anti-Semitism to call a spade a spade and draw a line in the sand against Israeli parasitism, because it’s your life on the line. Would you rather be an ‘anti-Semite’ who has stopped an Israeli terrorist attack or one of the many martyred, Politically Correct liberals who found themselves on the wrong end of an assault rifle on 22/7? The choice is yours, and that’s more of a choice than those poor peaceniks at Utoya ever got.